Well, after this week, I think it’s a good idea to do something nice for someone else. I always feel a bit better when I have work to do, and when it’s adorable work to help cheer up adorable kids, it’s even better. I love the color of this guy’s sweater- it’s even prettier in person. A dark red heathered yarn, with shades of ruby and garnet. Gorgeous. It almost makes up for how cross-eyed he looks. (I’ll just pretend that the cross-eyed-ness gives him character.) And this guy is ready for summer, with his T-shirt and stripey shorts (and scarf, for some reason). 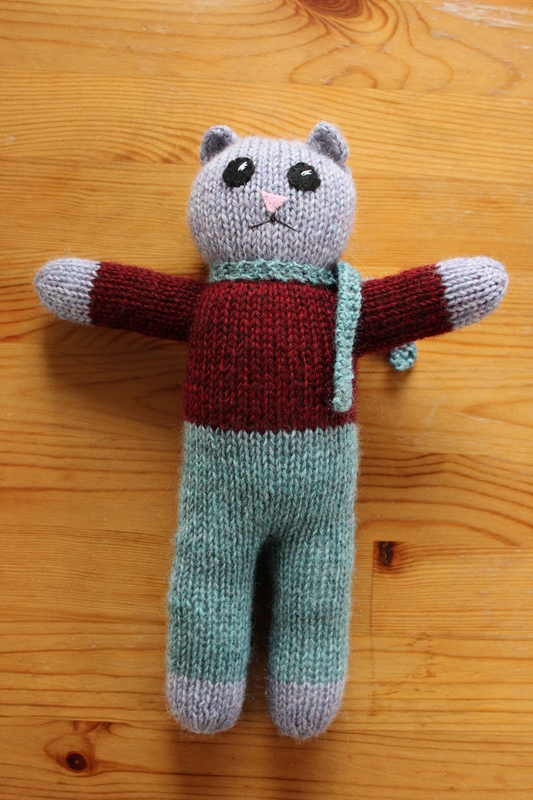 The shorts and T were because I was using up the last little bits of my yarn, but he actually ended up pretty cute. And, I found out that the MBP posts pictures of all the kids with their new bears, so you can go back and look for the bears you made with their new owners. I found a couple of mine! Super exciting. Have you made a bear? Join me! 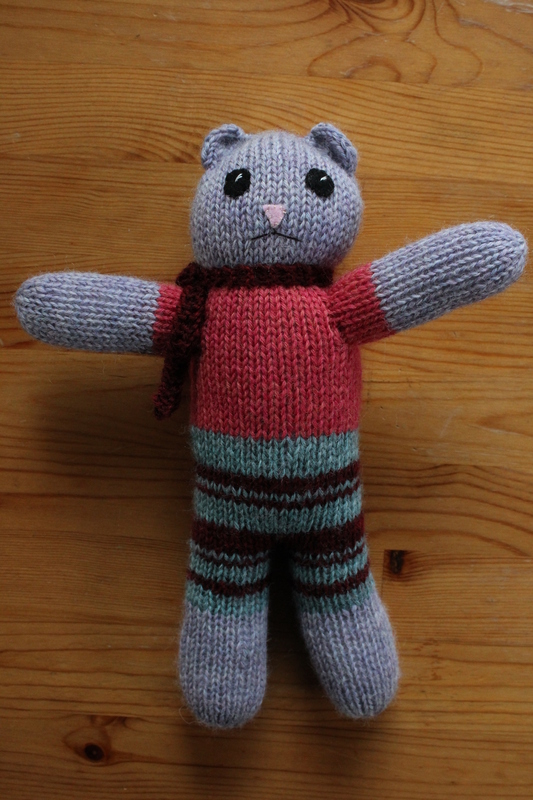 This entry was posted in Knitalong and tagged bear, charity, charity knitting, mother bear, mother bear project, teddy bear on November 11, 2016 by onemilljellybeans. Thanks for sending love out and around the world!